This information session will provide you with key insights into the collaborative Merage School community. The admissions team will also provide an overview of the program and admissions process, then you will hear from alumni on what it's really like to be a Fully Employed MBA or an MBA for Executives student at the Merage School. Light refreshments will be available before the presentation and there will be time after to network or ask your specific questions. Park at SSPS Garage at the corner of Campus Drive and Stanford Avenue entrance. 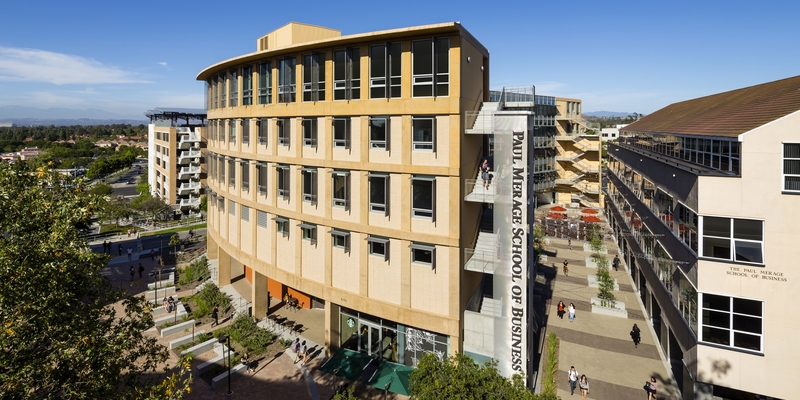 Exit parking structure at 3rd floor walk directly across the street and follow signage to the information session at The Paul Merage School of Business. Contact us for more information or to set up a consultation with someone from our admissions team: 949.824.4565 or mbaprograms@uci.edu. Time: 06:30 p.m. - 08:00 p.m.